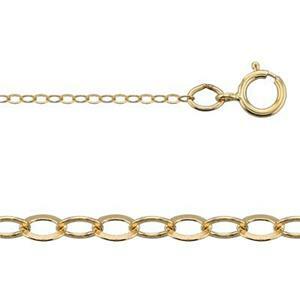 One of our most popular gold filled jewelry chains. Lightweight, flexible, with lots of subtle golden shine. It's easy to add pendants or focal links to this cable pendant chain. Shop our wide variety of gold filled blanks to make custom hand stamped additions. Lovely chains! Delicate yet the perfect weight for charms. A good, go-to chain to use in all my jewelry designs with different lengths available for my customers to choose from. These necklaces are fantastic, there are wonderful for dainty designs and the link is very pretty.